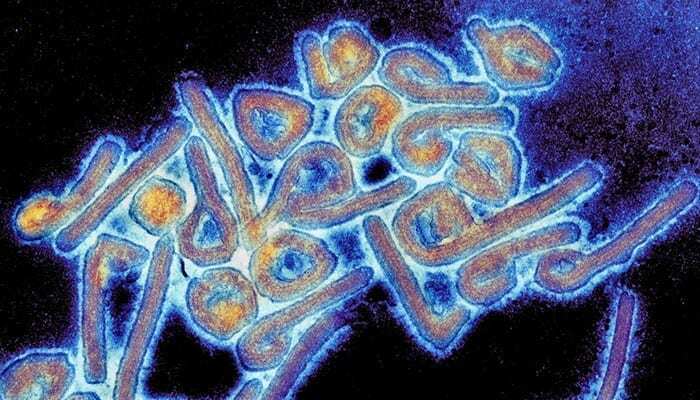 A study led by scientists at the University of Texas Medical Branch Galveston National Laboratory and Mapp Biopharmaceutical has found that an experimental treatment cured 100 percent of guinea pigs and rhesus monkeys in late stages of infection with lethal levels of Marburg and Ravn viruses, relatives of the Ebola virus. Although the Marburg and Ravn viruses are less familiar than Ebola virus, both can resemble Ebola in symptoms and outcomes in people, and both lack preventive and therapeutic countermeasures. The study involved giving the animals a therapeutic candidate, MR191-N, which is a monoclonal antibody derived from a person who survived Marburg disease. Monoclonal antibodies are immune system fighters designed to bind to a specific part of an invading virus or bacterium to treat disease. The authors report that two doses of MR191-N were able to confer protection of up to 100 percent when treatment was started up to 5 days post infection. Prior studies of different experimental Marburg treatments involved daily dosing for 7 and 14 days, respectively, with treatment beginning closer to the time of infection. The research included collaborators from Vanderbilt University Medical Center, the University of Natural Resources and Life Sciences in Austria, and The Scripps Research Institute. The researchers are now working with NIAID’s preclinical services group to perform the additional safety testing necessary to advance the monoclonal antibody treatment to initial human clinical studies. Public health workers learned during the 2014-15 Ebola outbreak in West Africa that lack of available treatment options kept diseased and at-risk people away from treatment centers, making disease tracking and outbreak containment more difficult. They fear the same situation would develop in a large-scale Marburg outbreak. The NIH’s National Institute of Allergy and Infectious Diseases (NIAID) provided project funding. Continued development will be supported through a Task Order awarded in 2017 under the Assistant Secretary for Preparedness and Response (ASPR) Biomedical Advanced Research and Development Authority (BARDA) Centers for Innovation in Advanced Development and Manufacturing (CIADM) program.